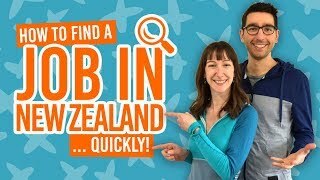 Where to stay for free or cheap in New Zealand? It’s no secret that New Zealand is a pretty expensive place to travel. However, it doesn’t have to be if you cut down the costs in certain aspects of your trip, like accommodation! Luckily, there are a ton of options when it comes to cheap accommodation in New Zealand so you can spend more time worrying about which skydive you’re going to do, rather than how much you’re spending on a bed for the night. In this of cheap accommodation in New Zealand, we’ve included types of accommodation for every type of traveller. Whether you’re a couple who prefers to have your own private space, a family who wants to meet locals, or a backpacker who wants to experience the great outdoors. Booking a bed in a hostel dorm room is one of the cheapest accommodation options out there. A bed is around NZ$21-$35 per person per night, with communal kitchen, lounge, shower and laundry facilities to keep the costs down further. Although there are other types of rooms available in hostels, such as private single, twin or double rooms, we recommend comparing private room prices with rooms in motels and budget hotels which are often very similar. When looking for private rooms on a budget, consider motels and budget hotels. You’ll often find rooms that are a similar price to private rooms in hostels, but are of higher quality. However, if you plan on using kitchen facilities, make sure your chosen hotel or motel has them! Take a look at some of the best budget accommodation we’ve found in New Zealand in our Hostel Alternatives category. Not only is staying in a campervan a type of budget accommodation, it’s so convenient! There’s no need for all the packing and unpacking each time you arrive at a new place. You take your accommodation around with you. There are plenty of budget campervan rental companies to keep the costs low and backpackers selling campervans if you plan in staying in New Zealand for a while. Keep in mind the cost of campsites and holiday parks. Only self-contained campervans can camp for free on public land and even then, a self-contained camper will need to be recharged and waste dumped in a holiday park every three days or so. On the subject of travelling in a campervan, let’s talk more about campsites. There are two main types of campsites in New Zealand, ones run by the Department of Conservation (DOC) and ones run by local councils. These are your most affordable campsites in New Zealand ranging in price from free to NZ$15 per person per night. They have basic facilities with the free ones only having toilets and water, to the serviced ones maybe having showers or a cooking shelter. If you’re not afraid to rough it and dig being in the outdoors, then staying in a tent or campervan in New Zealand campsites is a great way to stay on a budget. Holiday parks are like the luxurious versions of campsites in New Zealand. They are basically the more commercialised versions of campsites with much more facilities and accommodation choices. Holiday parks have tent sites where you can pitch a tent or park a vehicle you’re camping in, as well as powered sites for campervans which can use power. On top of all that, they also have cabins, self-contained tourist flats and caravans, for example, for those who’d rather not be camping. These types of accommodation start off marginally more expensive than hostels, getting more expensive the better the room is. Check out our Accommodation Guide to Holiday Parks in New Zealand. Holiday park guests have access to communal facilities like kitchens, lounge, laundry and bathrooms. If your budget is pretty much 0 dollars, then couch surfing is for you! Kind locals post their sofa or spare room on platforms like couchsurfing.com inviting travellers to stay for free. Hosts are usually people who have travelled the world themselves and know what it’s like to be in a foreign country with little money, or they are just keen to meet new people. However, couch surfing is usually only for one night just as a quick place to kip. 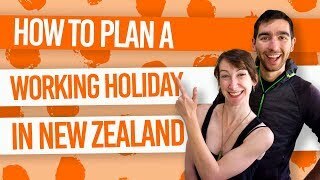 Get more information in our Couchsurfing in New Zealand guide and check out these 8 Safety Tips for Couchsurfing in New Zealand. For something a little different from the whole hotel or hostel thing, try Airbnb! Airbnb is a website where people with spare rooms or even spare houses can list them for travellers to stay in. You can filter your Airbnb searches to your desired nightly rate and possibly find some good bargains. It’s can be great way to meet real locals and sometimes you’ll find something more luxurious than a private room in a motel or hotel. For more information, check out Everything You Need to Know About Airbnb in New Zealand. Plus, here’s a NZ$50 voucher toward your first stay with Airbnb. If you are on a work visa, like a working holiday visa, then you have the opportunity to try WWOOFing in New Zealand. WWOOFing originally comes from the “World Wide Opportunities on Organic Farms” organisation where volunteers would exchange 2-4 hours of work a day for food and accommodation, but the notion became so popular in New Zealand that now WWOOFing is just a general term used to mean working for accommodation. There are many Kiwi families, projects, farms and organisations looking for volunteers to help with all kinds of work in exchange for free accommodation. You can find some rewarding experiences, immerse yourself in the Kiwi culture, and refresh from constantly backpacking. See How to Find Work for Accommodation in New Zealand. If you’re looking for a place to stay for a week or even a month, then check out house sitting opportunities. When Kiwis go away on holiday, they need someone to look after their beloved pets and keep an eye on the house. That’s where travellers like you fit in! There are loads of websites out there pairing houses and travellers, such as Kiwi House Sitters, Home Sit, The Housesitting Company and Trusted Housesitters. We even get listings on our job listings page. Finally, this budget accommodation option only applies to those lucky enough to have their own home to exchange. By listing your own home on websites like homeexchange.com, you can stay in a New Zealand home for free. This is particularly handy for families travelling in New Zealand.